The white farmhouse sink has become the go-to kitchen update. I love the look and have used it in several of my kitchen designs. However, I have recently been inspired by apron sinks that make a statement. 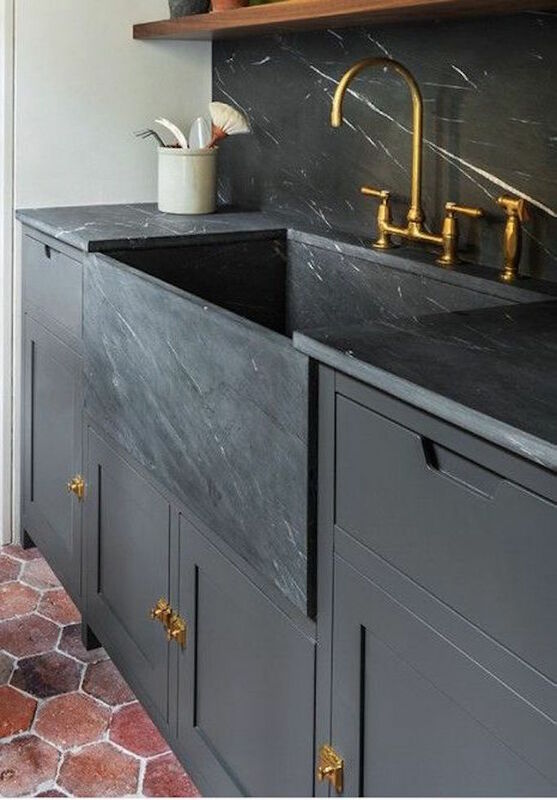 I wrote about marble sinks that have caught my eye here, and today I am looking at apron sinks in brass, black, copper, and stainless steel. If you are updating your kitchen, you could go with classic white, or consider these white apron sink alternatives. 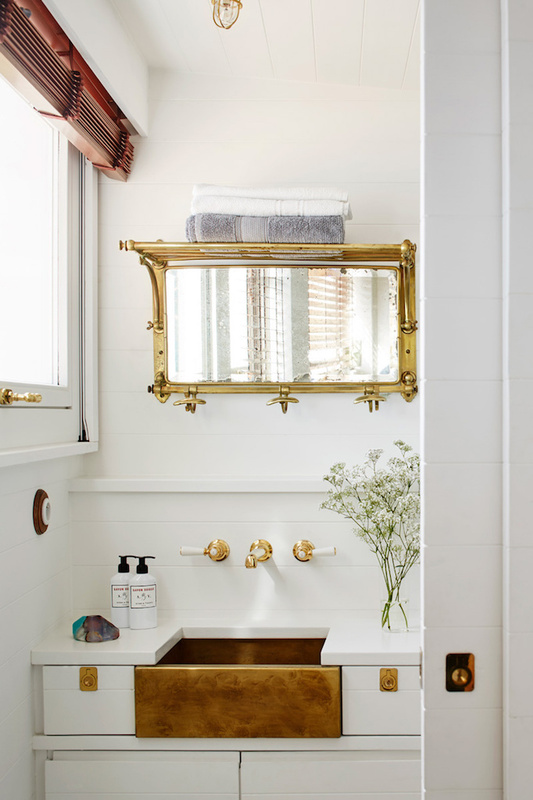 These brass sinks are a beautiful pop of shine and color against the white cabinetry and marble counters in the images below. 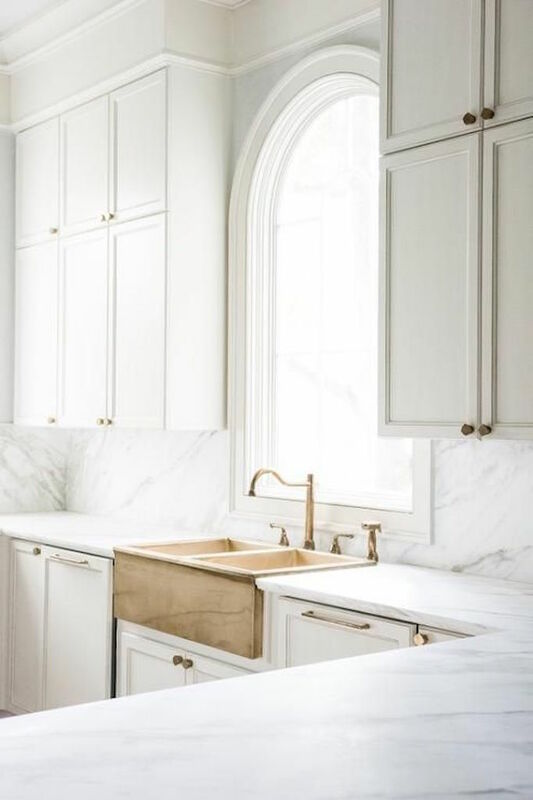 The seamless transition from counter to sink in these images allows the veining in the stone and the brass fixture to stand out in the first image and creates a sharp line when set agains light cabinets in the second. The copper sink in this English kitchen adds a rustic warmth to the clean space. Stainless steel reads clean and functional. It is also an easy match for the appliances that most clients have already purchased. 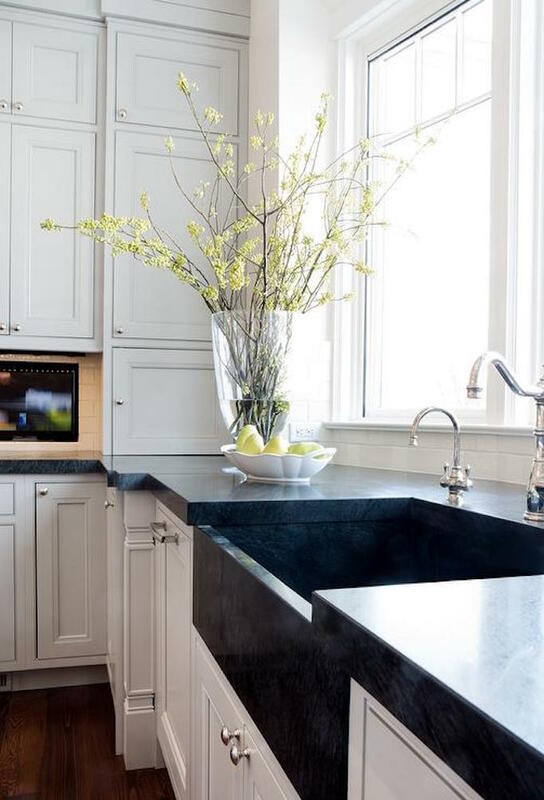 In this beautiful kitchen, the hammered steel apron sink adds beautiful texture. In my Estillo project, I chose a stainless steel apron sink to fit with the clean modern aesthetic of the home. Thanks for stopping by today! Have a happy Wednesday.